I got my first tattoo when I was 20 years old. I had taken a long time to be very thoughtful and introspective about what it was that I wanted to be permanently inked into my skin. Now, back at age 20, I was not living a natural lifestyle…that way of life came when I was older, closer to the age I am now. But I was always very conscious that tattoos are not exactly natural. When not done properly, without much thought into what you are getting, and (most importantly) WHY you are getting it, a tattoo can become a bad example of artwork on your body instead of something that portrays beauty and meaning. I am a big believer that healthy and holistic living goes far beyond our nutritional habits, or how much we DIY instead of buy, or even how “crunchy” we are. It extends down into our personal depths. Into how accepting and loving we feel about ourselves, and our lives, from the inside out…right from our very core. I know people who have made great strides in removing chemicals and toxic foods from their lives, but are still polluted by their internal struggle. To me, healthy living starts from the inside and is carried to the outside and to our outside physical being and our mentality. Using tattoo medicine as a healing medium can help us with this part of our lives. It has become obvious to me that I link tattooing with my own personal healthy spirituality and healing needs just as many others do. And she has done exactly (and way more than) that for me. I am not sure how the naturally minded and organic community will like this post, or how much you will disagree or agree with me and my body choices, but I have found healing and enrichment of my life through tattooing, as countless others have and do. I now have a total of 10 fairly large tattoos on my body. Each one has a backstory and represents a person of great importance in my life. I have, with my tattoo artist, designed a Family Garden on my back and left arm. 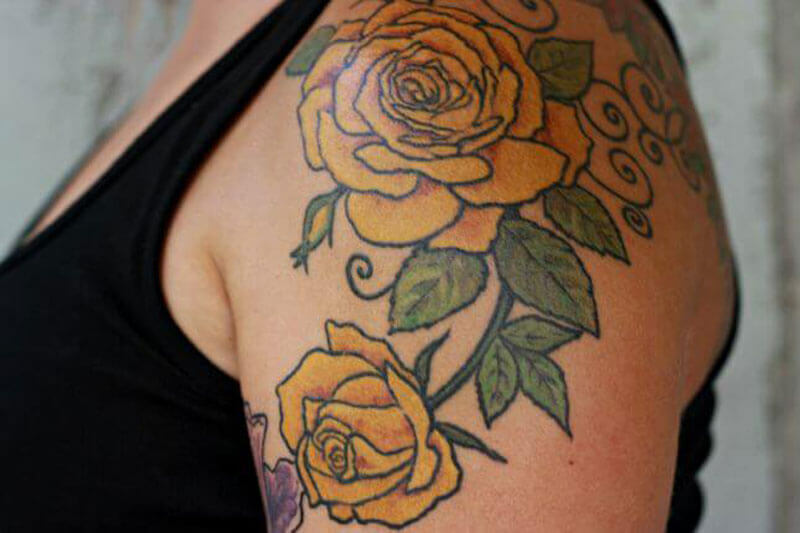 Each tattoo session provided me with body and mind healing centered around each particular person. Our body has a beautifully innate way of healing itself, especially when given the proper tools to do so. 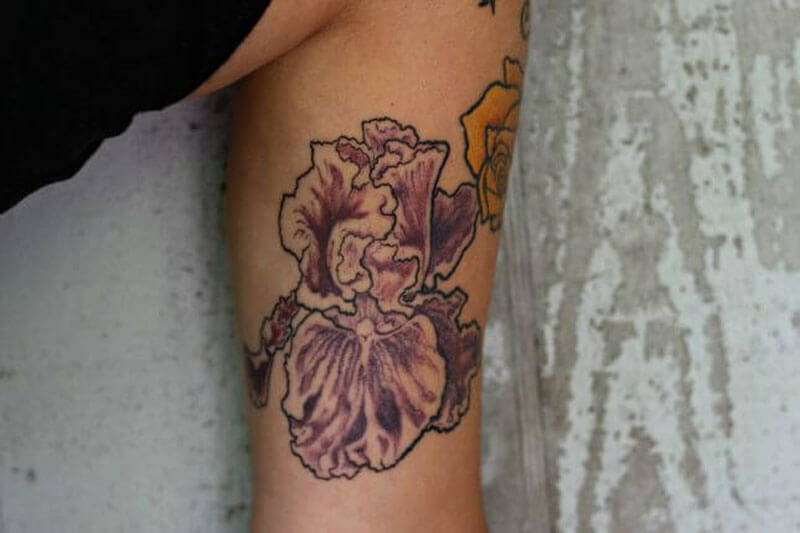 There is a wonderful post already on Scratch Mommy that goes into some details on healing your tattoo with Natural Tattoo Care and I highly suggest you check it out. In addition to those suggestions, I encourage drinking homemade bone broth before and after the tattoo session (and water during) to aid in your body’s ability to heal itself from the inside out. Bringing your intention to the session fully and completely (and speaking about it to bring it to life, no matter if your artist is a healer or not) will also assist in your body’s healing process. I have used, and created, many different healing concoctions over the last couple years. I have always tried to keep it as natural as possible, so I have stayed away from commercial creams and ointments. 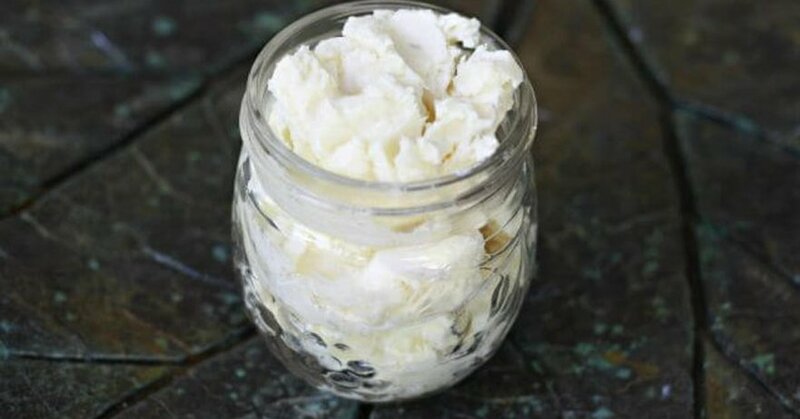 My discovery has been that alternating between a homemade healing cream (recipe below! ), using a combination of butters and carrier oils, and using just a carrier oil mixed with essential oils has helped all of my rather large tattoos heal really well, with very minimal peeling and flaking. My tattoos were rarely itchy, either. My favorite carrier oils to use have been avocado oil, sweet almond oil, and emu oil. My favorite essential oils for my tattoo healing have been frankincense, lavender, helichrysum, and myrrh. Our bodies all react differently to different things, so don’t be afraid to research and experiment to find what works the best for you! I LOVE the whipped healing cream recipe below. I find that since it doesn’t include coconut oil that it isn’t oily. It’s the perfect combination to both absorb into the skin AND to provide a non-greasy layer of protection over your tattoo. (PS – it’s also been working great on my feet, which get very rough in the summer from sand and being barefoot so much. Try using it after a Pronounce Skincare Foot Scrub treatment)! Using a kitchen scale, weigh your butters and almond oil and put them into a double boiler. Slowly heat the butters and oil until they melt. Give them all a mix together. Allow the mixture to set. I don’t have much patience, so I placed my bowl into the refrigerator while I cleaned up and did some work. After about 45 – 60 minutes, I checked and it was set enough to move forward. Using a hand or stand mixer, whip the mixture until stiff peaks form. 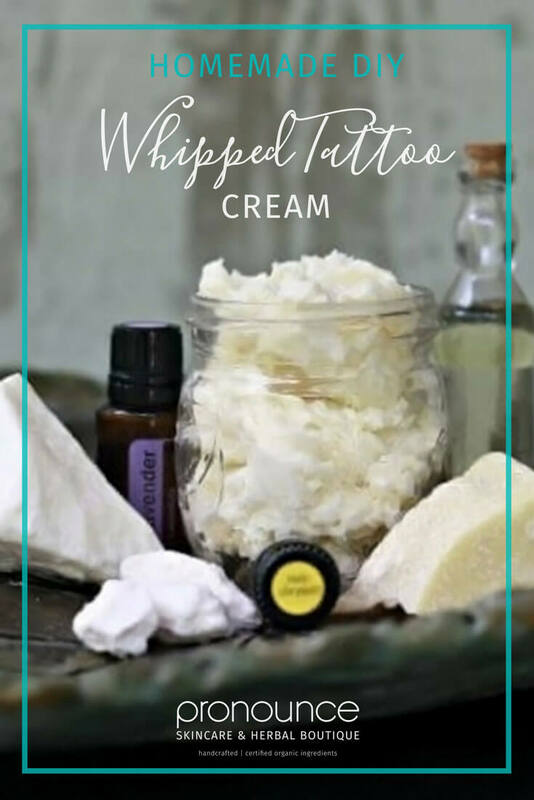 Transfer your whipped tattoo healing cream to a mason or other glass jar. The final product will be a harder feeling whipped cream and will feel wonderful being massaged into your tattoo and skin. Apply a small amount to your tattoo throughout the day. The more moisturized you keep your tattoo, the less flaking that will occur (which in turn leads to less itchiness) and the better your skin will look, feel and heal. Essential Oils: You can adjust these as per your personal preferences, using less of the scent you like the least and adding more to the scent you like the most! Mango butter is soothing and moisturizing. Cocoa butter is high in vitamin E to help hydrate and soothe skin (keeping a tattoo moisturized helps combat flaking and itchiness). Kokum butter heals and helps revitalize skin cells. Sweet almond oil is easily absorbed and helps the other ingredients penetrate into your skin. WANT TO MAKE THIS TATTOO CREAM? Please, head on over to my Pronounce Skincare Shop where I sell some of the ingredients to make this cream.